Demonstration of magnetic levitation of the high-temperature superconductors - yttrium-barium-copper oxide (Y-Ba2-Cu3-O7-x). 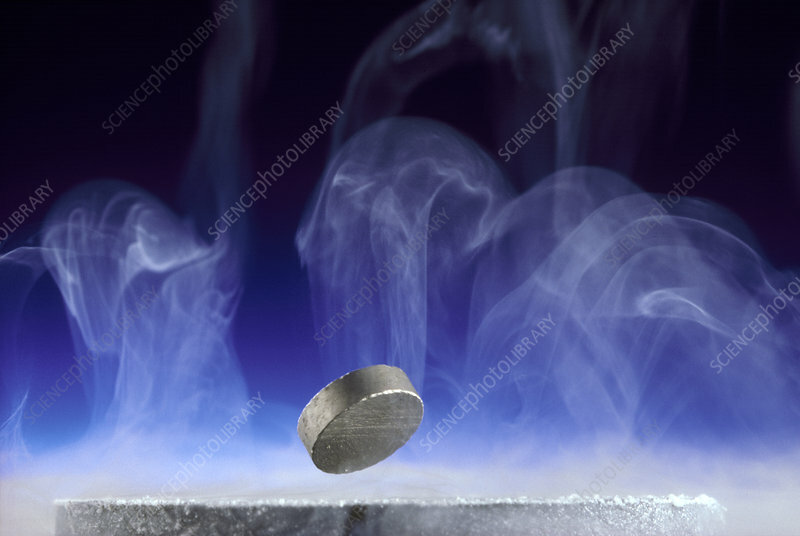 The photograph shows a small, cylindrical magnet floating freely above a nitrogen-cooled, cylindrical specimen of a superconducting ceramic. The glowing vapour is from liquid nitrogen, which maintains the ceramic within its superconducting temperature range.